Solid build which guarantees durability. Available at a reasonable price for the functionality it comes with. Very simple to operate and the LED screen allows for easy readings, plus its simple to setup. Here we have the ultimate diagnostic tool designed to take care of all your vehicle servicing and repair needs. Motor vehicles have very intricate but complex systems that need to always be up to date in order for the car to function effectively. A device that picks on any problems with accuracy is the one you want. If it can rectify the problem, even better. The Autel Maxilink ML619 may just be the perfect solution for this. It has impressive features and diagnostic capabilities. But will it work for you? If you’re unsure, we took the liberty to review its various specs and functions. Read below and hopefully it will make your decision that much easier. Scanning for problems and code reading is the primary function of this diagnostic tool. It detects faults on different vehicle systems for instance the anti-lock brake and supplemental restraint system. In addition to the above mentioned vehicles, it also works on some of the newer models. If you want clarity on whether it’s suitable for your vehicle, we’d recommend you contact the seller before purchase. Systems change overtime and vehicle systems are no exception. That’s why it’s important to always have the latest software so as not to render the device obsolete. For this reason, the scanner allows for online updates meaning it’s possible to upgrade and update it when the latest versions are available. By updating the code reader you increase its compatibility with even more vehicles which is a plus. The best part is these updates are free of charge. 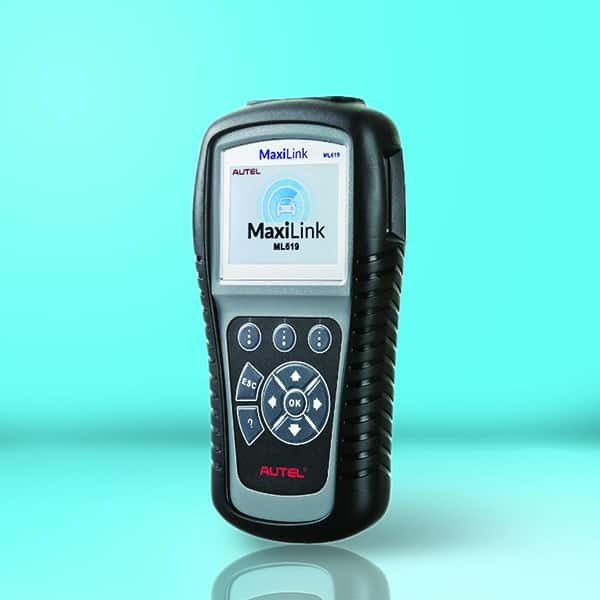 This tool is best suited for the professional mechanic because of its advanced scanning capabilities which can check different car makes and models. However the DIYers will also find it pretty useful because it’s relatively simple to operate. Unlike other scanners, this one comes with a brightly lit and color coded LCD screen which makes it easy to read. Any car owner who isn’t prepared to take their car in for a professional diagnosis will appreciate this tool. Let’s face it: Not all vehicle problems require professional intervention; sometimes they just need a simple fix a DIY person can handle. This scanner allows you to do just that: detect problems and determine if it’s worth a trip to the auto repair shop. End result—you save time and money. If you require further clarification on how to use it you can take advantage of the user manual which is detailed and easy to understand. The manual also has various definitions and menus to further assist in your operation of the tool. If you happen not to understand a particular problem, you can print the data via your PC and consult with a professional mechanic. The connector is demountable for easier handling and this means you can check your car anywhere. Because it features a portable and compact design you can place it virtually anywhere, be it your tool box or bag. The tool enables you to retrieve both generic and manufacturer specific codes as well as any pending codes. These codes are necessary for you to identify the problems present in a vehicle—accurately. Fortunately for you, this scanner clearly states the problem without you having to look up what the codes mean in the manual or online. Not only does it support the basic diagnosis of different vehicle system, it also clears the codes with ease. Apart from reading codes you can also read, store and play back live data within the above-mentioned vehicle systems. This allows you to check the complete health status of the vehicle to determine if it’s in good condition or if any potential problems might arise. Some vehicles may present issues regarding warning lights on the ignition status that are switched on: ABS, SRS and engine check lights being the most common ones. That’s where this scanner comes in as it allows you to reset monitors to turn of these warning lights. In some cases you’ll need the Vehicle identification information in order to get an accurate and detailed diagnosis. With this scanner you can get this information with ease, particularly the VIN, CALID and CVN. This scanner is designed for convenient and easy operation for the DIY or professional mechanic. It allows for fast problem solving with utmost accuracy. This means the amount you spend working on one vehicle is significantly reduced thanks to its advanced functionality and capability. Overall it’s an effective handheld device which works well plus it comes at a reasonable price. It helps you detect problems on your vehicle without the need for taking it to the professionals. Complete vehicle safety—and your own—is covered if you choose this product. In our books, the tool is a must have.